Because of its beauty that makes time stop for an instant, the expression l'heure bleue has come to describe a variety of special times and events, not just a description of a special blue glow at dusk. Each month in 2016, I am sharing a collage of blue images that create a little l'heure bleue for me. In north Texas, April is filled with bees actively collecting nectar from blossoming trees, shrubs, wildflowers, herbs, cultivated flowers, and grasses. Seeing several bees recently flit from bloom to bloom on a large clump of rosemary was fascinating. So much so, that I STOPPED (time stood still for a l'heure bleue moment) to watch them. As I drew nearer to them, the rest of the world faded into a soft blur on the edges of my vision. I was equally fascinated by hearing the low hum of their buzzing as they merrily went about their task of gathering nectar to create honey for their queen and themselves. Focused, and not frenetically, they calmly, purposely set about their purpose in life. Of course, we all know that bees CAN sometimes become frazzled and frenetic when disturbed. However, most of their lives they ignore what is going on around them and remain focused on their own purposes. is a motto I am embracing as I set about the purposes in my life. Mother's final income tax return, MY income tax return, clean-up from the past two thunderstorms with hail, cleaning house, doing laundry... after a trip to Alabama to do Mother's taxes.... fill my days. I will BEE calm and bzzzzz on. Creating the l'heure bleue en April collage... while the bee images are free from The Graphics Fairy and Victoria magazine, none of them were blue in the original. Each image was re-colorized using Preview and Microsoft editing tools. Each image was converted to a jpeg format and inserted into a Powerpoint slide to create the one-page collection of images. Just this year I discovered that Microsoft software has an option for editing "pictures" that changes the outline shape of a picture from a rectangle. That is how I created the hexagon shapes of each image in the collage. The individual bees scattered across the page were "cropped" from a separate copy of the beehive-atop-foliage image. Using rotation, resizing, and recoloring tools in Microsoft, I was able to place the bees across the page. Here is a sneak peek at the next blog post that also has Bzzz Ezzz Ezzz S.
Would you like to see the other l'heure bleue collages? Please join me at these inspiring sites. Oh, I love your collage, Judith! Bees are so fascinating and we can learn so much from them. I know there has been much concern over the past few years about their declining population. We have many people around here who "keep" them. . .nothing better than local honey. Really like your posts on the blue hour. Blue is my color. I am a white,gray and neutral lover for home décor, but bleu is my color for accents especially during this transition of spring into summer. IT MAKES ME HAPPY! 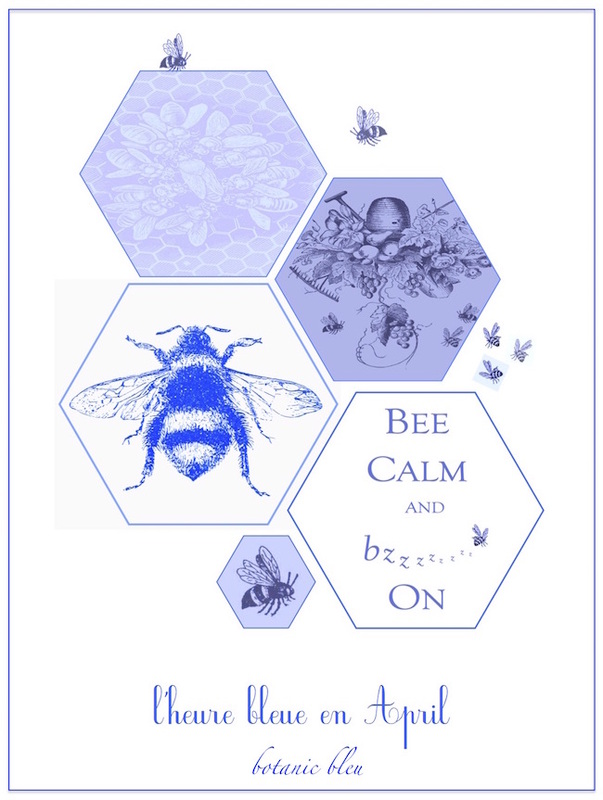 Love the bee motif, and blue has a calming effect on us, doesn't it? Maybe it's the water/sky but whatever it is, bring it on. Enjoy your weekend! Thank you for coming to my blog! I wasn't sure many people would come given the appearance of many people stopping (myself included!) but my spring break was indeed a very special one. Typically here in Minneapolis during spring break, it's never warm but we had great weather especially for our photography session. This friend of mine is awesome, creative, playful AND has resources that will make future photo shoots really FUN! Great collage Judith. Just realized you live in Texas! I lived in Mckinney for 12 years and miss it a lot. My favorite color is blue and if you walked through my house you would have no doubt. Have a great week! 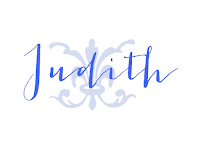 Judith, your perfectionist ways mixed with your creativity never cease to amaze me! I love your bleu collage! You know, out in the garden today I stood still for a moment and watched the bees happily bzzzzz on the Spanish lavender. While I'm scared of bees, I know they will not bother me if they are left alone with a lavender bush! Have a nice week! Judith, your collage is wonderful. This bee lover is impressed! I want to learn how to alter photos to that hexagon shape. Can I do it on a Mac? Bees are buzzing in my garden too. Always makes me happy to see them! Beautiful post! Thank you for sharing at SYC! I love your bee graphic and the sweet image! This is certainly good advice no matter our circumstances. You know you always inspire me. Whether it is your use of Ivy topiary, incorporating wildflowers into your vignettes or walks in Paris! This bee graphic is wonderful and a reminder to embrace all things in nature. 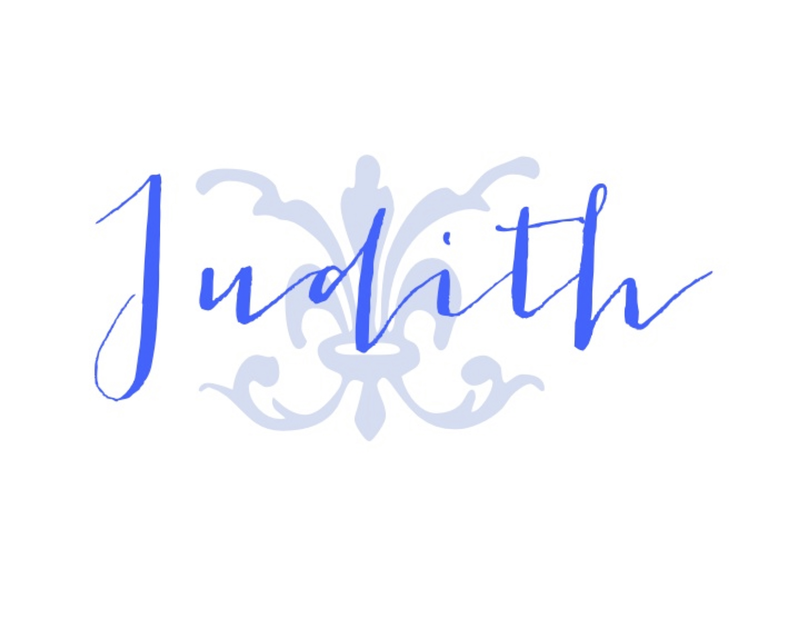 Judith- this is a wonderful post. 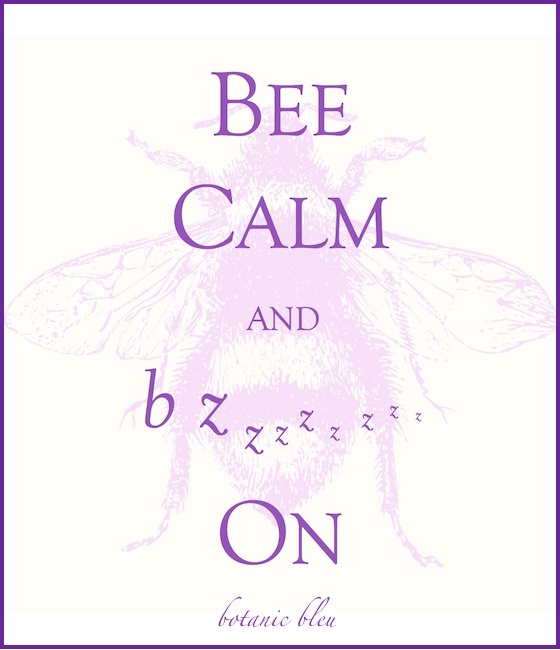 I certainly needed to hear the message to Bee calm. 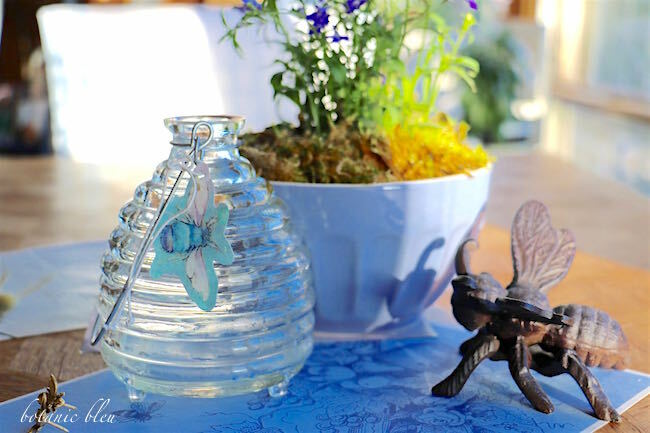 Have you seen the bee jewelry by Slane & Slane. Thank you for joining TOHOT. Love this collage! My garden is filled with bees as well. I did a post today with a photo taken at the blue hour. Thanks for sharing with SYC.